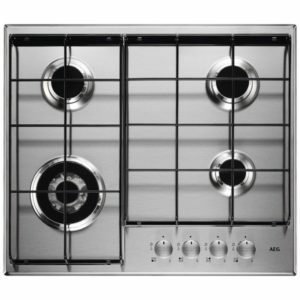 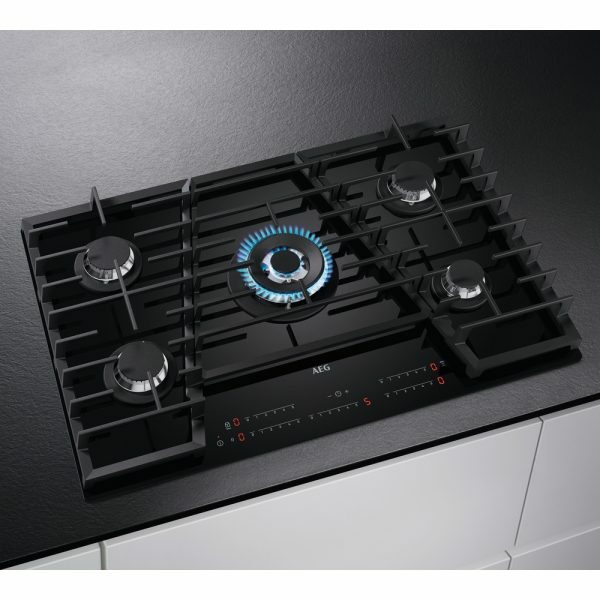 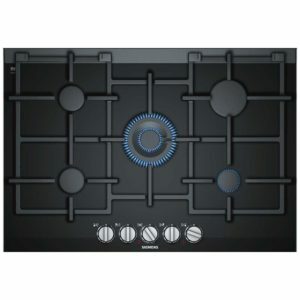 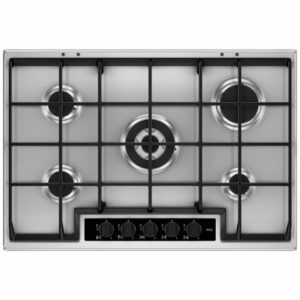 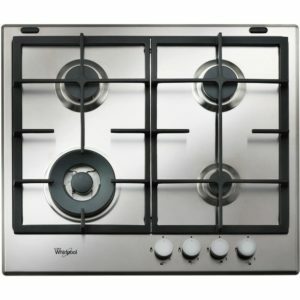 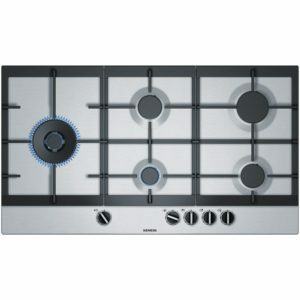 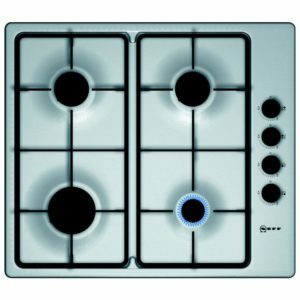 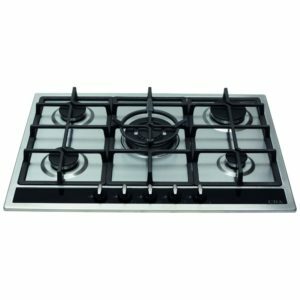 Finished in black glass, this fantastic 75cm wide hob offers 5 gas burners, including the central wok burner, meaning plenty of space for even the largest pans. 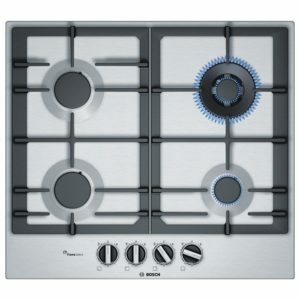 FlameLights come on when the burner is in use, whilst heat indicators tell you if the supports are still hot. 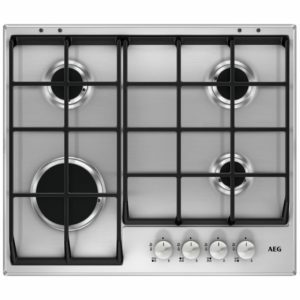 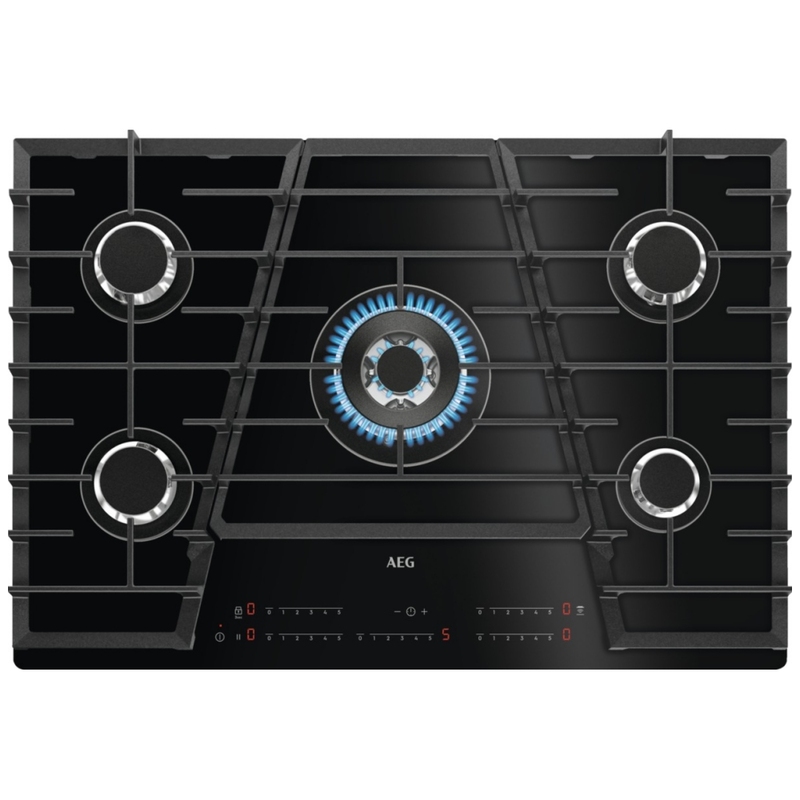 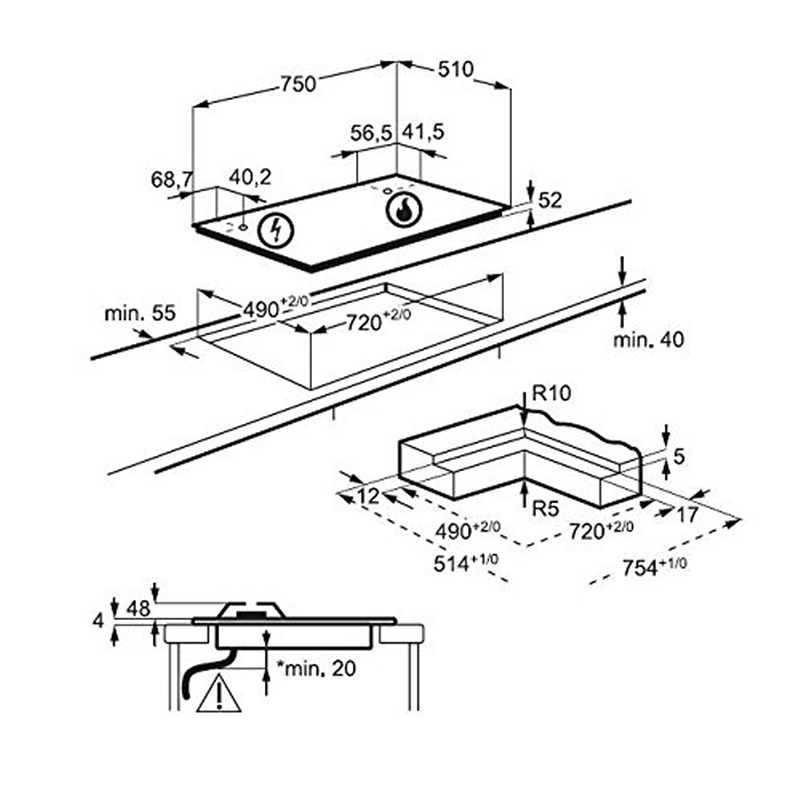 When you are busy cooking, you will appreciate the Hob2Hood feature; this hob can be wirelessly connected to an enabled AEG hood for self regulation of the extraction.